When photojournalist James Foley was executed on video by ISIS terrorists nearly a month ago, shock and devastation reverberated across the nation. But whatever we all felt, we knew it was nothing compared to the grief of the Foley family. 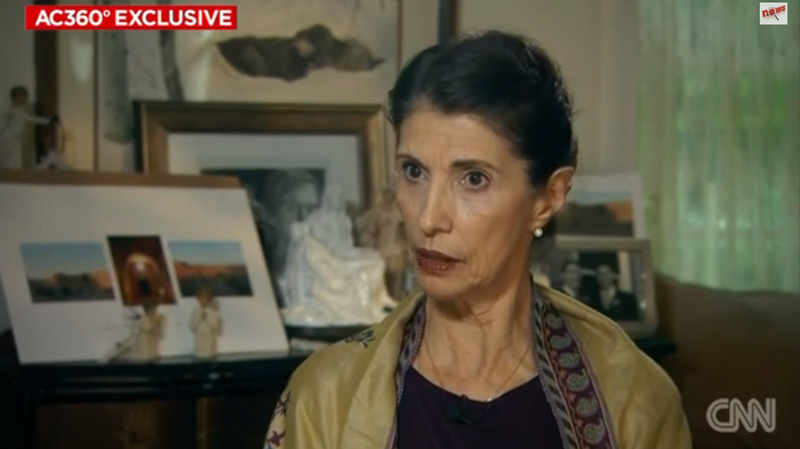 This grief was palpable in Diane Foley's interview with CNN's Anderson Cooper on Thursday. But that wasn't the only emotion she conveyed: she was also angry — with the U.S. government. Late Thursday, only a day after President Barack Obama outlined his plan for dealing with the ISIS threat, Diane Foley went on CNN to voice her frustration and disappointment with the administration. Impressively stoic throughout, she told a stony-faced Cooper that she felt "embarrassed and appalled" by the government, and that Jim himself "would have been saddened" by the U.S. response. “I really, really feel that our country let Jim down ... As an American, I was embarrassed and appalled," she said, adding: "I think our efforts to get Jim free were an annoyance" to U.S. officials. "It didn't seem to be in (U.S.) strategic interest, if you will." Foley made it clear how powerless her family was throughout the tragic situation, revealing that they weren't even able to raise ransom in order to free their son — they were told "repeatedly" by U.S. officials that doing so would be illegal, and would lead to prosecution. They were also told not to go to the media, although the government made clear it "would not exchange prisoners, would not do a military action." "We were just told to trust that he would be freed, somehow, miraculously," she said. "And he wasn't, was he?" Jim was killed in the most horrific way. He was sacrificed because of just a lack of coordination, lack of communication, lack of prioritization.As a family, we had to find our way through this on our own." When Cooper asked her if the government had been there for the Foley family, she didn't hesitate. “Not at all,” she said. "Not at all." In the end, though, she said that the "prayers from people all over the world gave him courage" in his final days. An ultimately, Jim would live on — she just hopes that the "government can have a better response to hostages" and "that the best of America can be promoted."